Assalamualaikum Sabrina, nice of you to share your take on the Tarte concealer. To be honest I love Tarte products too, but to purchase their item is definitely a splurge. My current favourite is their lipsurgence Lip shine, their blushers and the Rainforest after dark palette (this palette was a steal). Waalaikumusalam Melissa! i love tarte products too. love the brand concept that they have. owh the Rainforest after dark palette! super pretty! haha! tu la, i selalu dengan yg mac pro longwear tu mmg best. yg ni tak ramai sgt rave. thanks for reading! RM79 for 8g...oh my money XD i wanted to buy this Maracuja Creaseless concealer too but I have to pass this for my other priorities. it's good that you've reviewed it here, I think this concealer wont be much of a help since i am looking for one that can really hide blemishes. let's continue our search for the best concealer! for me this concealer is just okay, better than drugstore but pretty comparable. so a 50% 50% worth investing especially on the ingredients they use. Love all your reviews! Baru jumpa semalam blog you and ralit sangat baca satu2.haha rasa nak buat review jugak la lepas ni. Btw, boleh suggest tak lotion untuk badan or any body moisturizers? Dah banyak cuba tapi still tak jumpa yang bagus. Thank you so much! hehe... so sweet! come join the club! its fun to review stuff and share thoughts. For body lotion, still trying some products. sebab sab jenis tak suka pakai lotion sangat. so anything ok je. hehe. ramai suka concealer tu ea. boleh try nanti! <3 aah, sab pn nk try yg nars. nk beli online takut salah pilih shade. RM79.00 for 8g. agak pricey.. but looking at the Ingredients, it's worth to buy..
hm.. tak pernah lak dgr youtuber tak suka tarte. sab selalu dgr dieorg suka. especially yg powder tu, blusher and 12 hr foundation apa ntah tu. 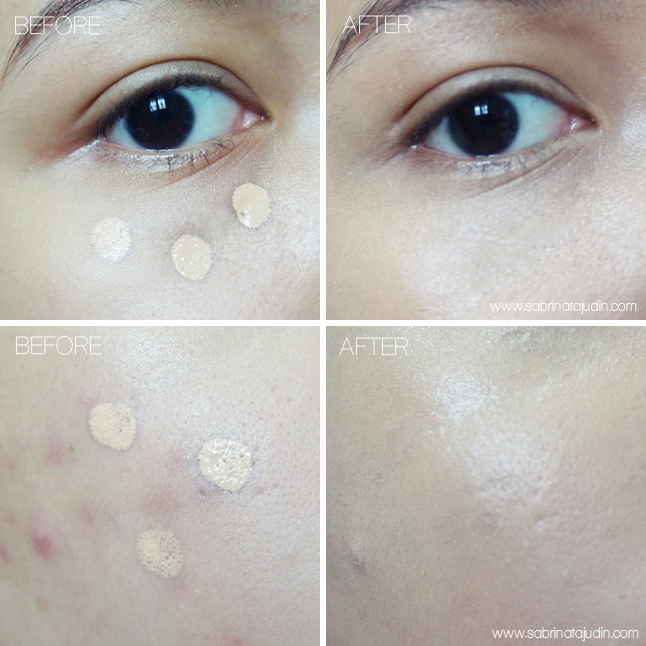 Nnt I nak try La Girl pro concealer pulak. the price increase like cray cray hehe... yep, a little goes a long way, tahan lama this concealer.